What happens when magic collides with reality? Donald is a young fisherman, eking out a lonely living on the west coast of Scotland. One night he witnesses something miraculous … and makes a terrible mistake. His action changes lives – not only his own, but those of his family and the entire tightly knit community in which they live. Can he ever atone for the wrong he has done, and can love grow when its foundation is violence? 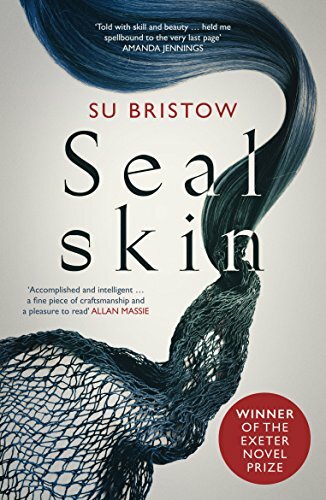 Based on the legend of the selkies – seals who can transform into people – Sealskin is a magical story, evoking the harsh beauty of the landscape, the resilience of its people, both human and animal, and the triumph of hope over fear and prejudice. With exquisite grace, Exeter Novel Prize-winner Su Bristow transports us to a different world, subtly and beautifully exploring what it means to be an outsider, and our innate capacity for forgiveness and acceptance. Rich with myth and magic, Sealskin is, nonetheless, a very human story, as relevant to our world as to the timeless place in which it is set. And it is, quite simply, unforgettable. For fans of Angela Carter, Eowyn Ivey, Alice Hoffmann and Geraldine Brooks. Although I do have a lot of books to read, I have a soft spot for Orenda Books so I bought this on a Saturday afternoon when it was on special offer for 99p. Wow! Is this the best £1 I have ever spent, or what? I almost didn't make it out for my friend's birthday evening but I made sure that I had a clear head so I could finish off the wonderful story on Sunday. Donald is a lucky man - one night he sees something that people have only dreamed about, but his thoughtless actions break the magic and he finds himself, and his family, living with the consequences. Donald's mother, Bridie, is well respected in the village and people come to her for potions and help with delivering babies. When Donald brings Mairhie home, Bridie takes her under her wing and teaches her everything that she knows, plus Mairhie has a little magic of her own. The villagers are naturally suspicious of Mairhie, but gradually they warm to her as she endears herself to them, however, the sea starts to call... Will Mairhie listen or will she accept the life she has been given on land? She doesn't have a choice while her sealskin remains lost...but does somebody hold the key to its whereabouts? Sealskin is perhaps the most beautiful book I have read in a long time. I was captured in its net from chapter 1 and only released when I had turned the final breathtaking page. Su Bristow has such lyrical writing that I felt as if I was in the book myself, standing at the door of the cottage or watching the fishing boats coming back to shore. I had serious difficulty in putting the book down and, had I not been going out, would have read Sealskin in one sitting. Make sure you have a few hours spare before reading Sealskin, as you will not want to put it down and it deserves, and cries out, to be read in one sitting. Gather your bucket and spade and head to the seaside as Sealskin is a bucketful of adjectives: beautiful, breathtaking, magnificent, exceptional, outstanding and magical...to name but a few. 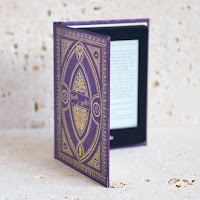 I will definitely be reading it again, and that surely must be a cast-iron recommendation!